Well before superheroes became a primetime staple, television had a relationship with the funny papers. 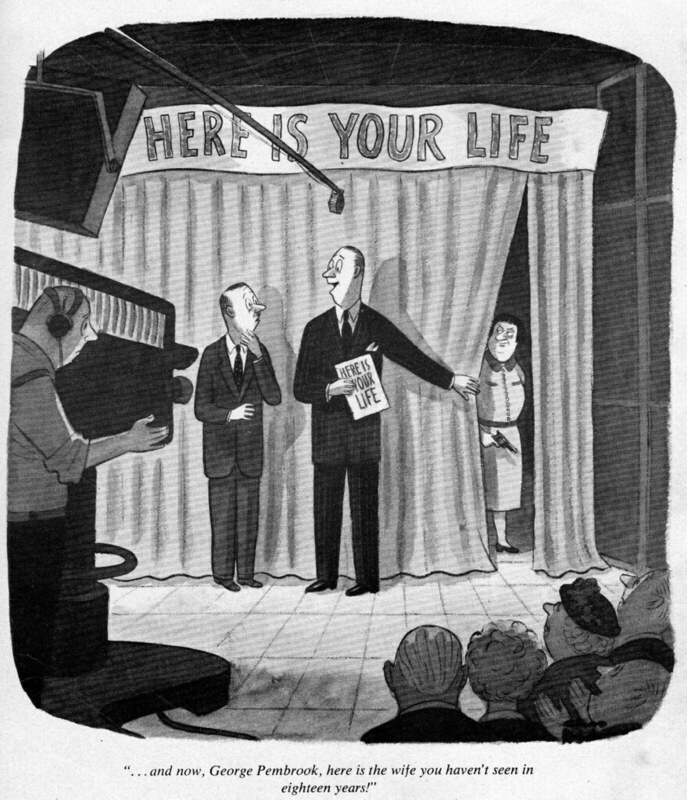 During the heyday of the Big Three networks, comics were a source of inspiration as viable as any other printed medium, with Blondie, Dennis The Menace, and Hazel all making the leap to the small screen alongside literary short subjects like Dobie Gillis and Mister Ed. These strips brought with them built-in audiences and standing casts of characters—but in the case of one comics-to-TV adaptation, all it took to sell the project was an evocative look. 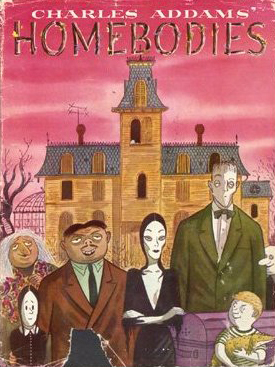 Producer David Levy famously pitched The Addams Family on the basis of a single image: The cover of the Charles Addams collection Homebodies, a tableau essentially recreated for the series’ opening sequence. 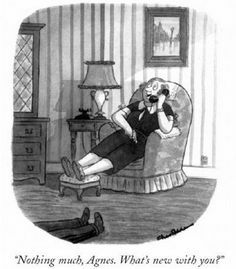 Expressive as Addams’ New Yorker cartoons remain to this day, the single-panel illustrations didn’t present much in the way of stories to be converted into 30-minute scripts. They provided a mood, a look, and a macabre sense of humor (but not character names, which would become Addams’ sole contribution to his namesake show), all of which provided a properly gothic frame for stock sitcom plots of the era. But the novelty of the presentation and the characters’ pen-and-ink roots make an Addams Family take on a cartoonish sitcom trope preferable to practically any other comedy’s version: When man of the house Gomez (John Astin) forgets who he is “Amnesia In The Addams Family,” it’s a definitive take on a setup that was already creaky in 1965. An amnesiac Gomez allows the show’s most versatile player to hit notes typically reserved for the Addams’ guests. Pop-eyed and trembling, Astin keeps the show’s primary joke in the family: The outsider who recoils at a “beautiful way of life” typified by toadstool omelets, model-train demolition, and a daily torture regimen. 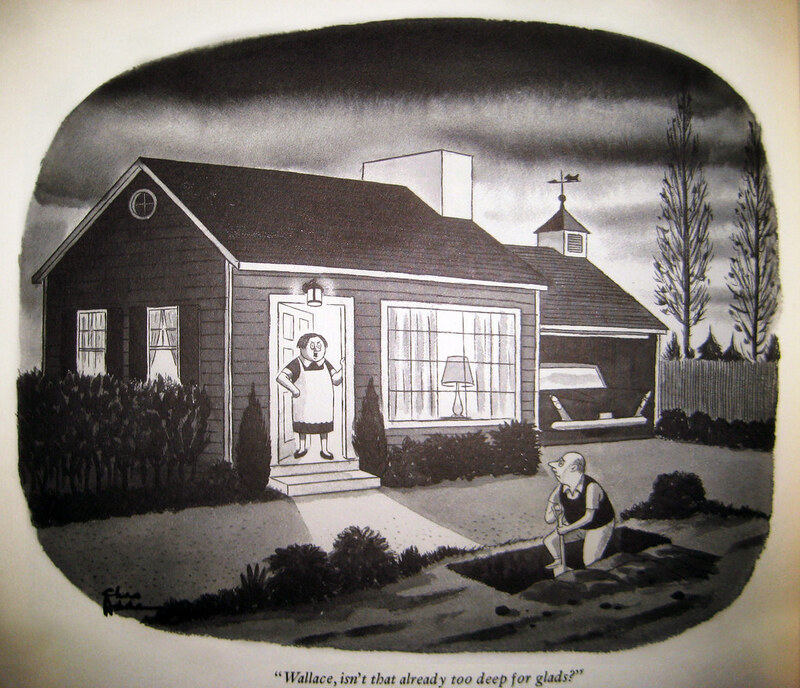 In other episodes, Astin embodied the grinning lover and schemer of Charles Addams’ cartoons; here, he gets to put down the cigar and play a square in Gomez’s clothing, a transformation that goes into overdrive once his relatives begin bludgeoning the paterfamilias in and out of memory loss. “Amnesia In The Addams Family” also digs at an element that’s crucial to every iteration of Addams’ deathless characters. When Gomez isn’t himself, it weighs tremendously on the rest of the clan—wife Morticia (Carolyn Jones) most of all. 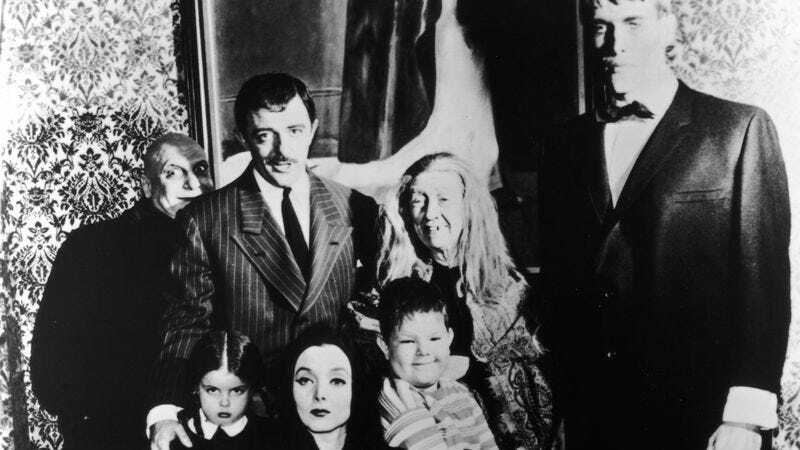 For all of the Addams’ relative peculiarities, this is a tight-knit family unit. All they have in the world is each other, and when one of their own is suddenly ordering hot dogs (“with chili!”) for lunch and foisting frilly fashions on his beloved, the family circle shrinks considerably. 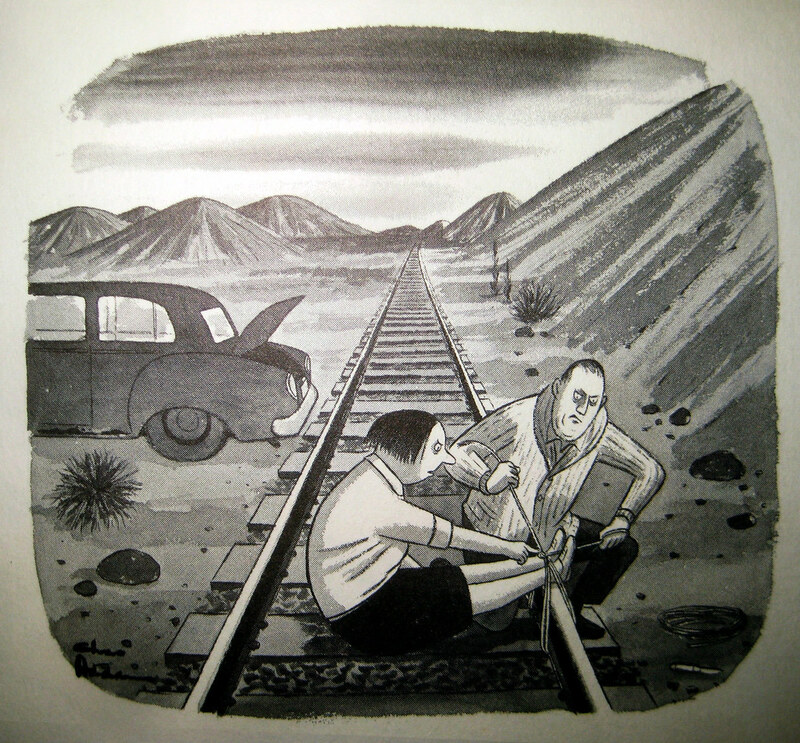 Then again, when Gomez is convinced Morticia is plotting to murder him for insurance money, he’s technically indulging in a family tradition: Charles Addams’ panels got endless mileage from murderous husbands and wives. Availability: “Amnesia In The Addams Family” is available as part of the DVD set The Addams Family: The Complete Series. It can also be streamed from Hulu (with subscription) and purchased from iTunes or Amazon Instant Video.